Work is underway on a number of projects, at various scales, in order to better understand the cross-cutting issues that need to be addressed to implement the OzNome vision. Some of the tools being developed by the OzNome team to enable improved information ecosystems. The concept – what is OzNome? 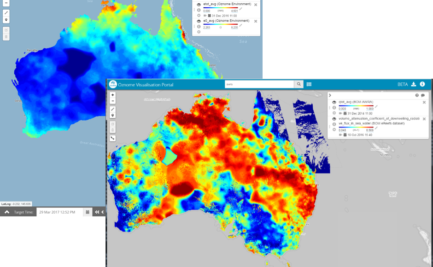 Imagine that all of the data and information about Australia’s environment was linked, accessible and ready for analysis by those with a right and need to use it. Imagine that this information was connected seamlessly to our knowledge base as encapsulated in predictive models. Imagine a world where the information necessary for a particular activity to manage our environment, regardless of the scale of that activity, is available as and when it is needed, ready for use, delivered to where it is needed, sensitive to any privacy concerns. This is the future CSIRO is working to realise through the OzNome Initiative. Realising this vision will require addressing the delicate social, institutional, policy, and governance issues, as well as the development of tools and methods for helping users discover, access and use data (as conceptualised in the OzNome ‘Gel’). We live in the information age. An era of unprecedented change and opportunity. At present, it is estimated that society generates more information in 24 hours than was generated between the birth of civilization and 2003. It is expected that by 2025, the Internet of Things (IoT) will be generating $4-$11 Trillion of economic activity annually. Communities and businesses have come to expect that information be available instantly in useful forms. The demand for transparent, evidence based decision making is growing. It is likely that the prosperity of future economies will be underpinned by their ability to generate value from information. 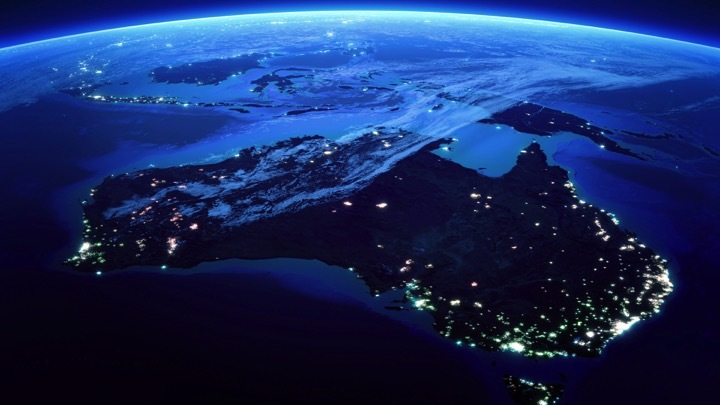 Right now, Australia has an opportunity to capitalise on this rapidly expanding ocean of data. However, to obtain the advantage we must change the way society generates value from information. We must address the significant costs and challenges that exist across the many information supply chains. This means transforming the infrastructure, institutions, policy, and behaviours around sharing and use of information. The processes and systems that Australia’s communities currently depend on to share information are limited in nature and scope, expensive to create and maintain and often developed to support a single purpose. As a result they often leave government, industry, research and the public disconnected, resulting in under-informed decision making and higher risk. Solving this challenge will require addressing delicate social, institutional, policy, and governance issues, as well as the development of technology systems. We need to address these barriers now, to build the framework that will enable fast, low cost discovery, access and use of information, which is why the OzNome Initiative was formed. The OzNome Initiative will be a collaborative effort delivering a collective impact. Building on the work of many it will solve these challenges to build the new framework. The solutions will leverage existing technology and infrastructure investments, business models, and protect the privacy and security of individuals and institutions. The future will hold greater connectivity at lower costs, enabling the creation of far greater value from information. This will lay the foundations for Australia’s competitive advantage in the information age. Imagine being able to prepare for and respond to natural disasters faster and more effectively to reduce their impact. Imagine having up to the minute information in weekly State of Environment Reports to make the right decisions fast. Imagine Australian businesses leading global innovation by being able to use and respond to consumer information better. One perspective with which OzNome can be viewed is as a philosophy around data and the generation of value using it. The philosophy is that data can be viewed as an asset or resource from which value can be generated. Unlike other resources, this resource is infinitely reusable and, the more it it is used, the greater the value that can be generated. Maximum value can be generated by ensuring data is shared with as many that have a right to use the data as possible. Like any asset or resource, generating value takes effort. In this case the effort involved is associated with improving discoverability, accessibility and usability of the data. The greater the discoverability, the more efficient the access and the easier the use, the greater the value that can be generated. Another perspective with which OzNome can be viewed is as an infrastructure. Just as transport infrastructure enables the efficient transfer of things from one place to another or telecommunications infrastructure allows communication across the globe, the OzNome infrastructure will enable the efficient discovery, access and use of information. Furthermore, just like transport infrastructure, the OzNome infrastructure necessarily consist of many components managed by many different groups, all working together to achieve outcomes. In order to operate effectively, the OzNome infrastructure will require, technological solutions provided by government and non-government organisations as well as institutions, policy frameworks and regulatory frameworks.